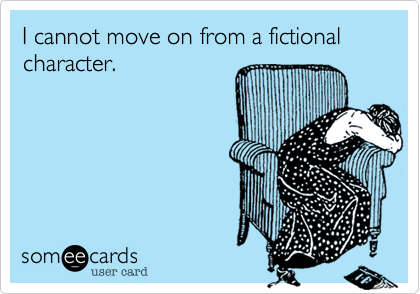 Characters have a way of grabbing hold of us, don’t they? 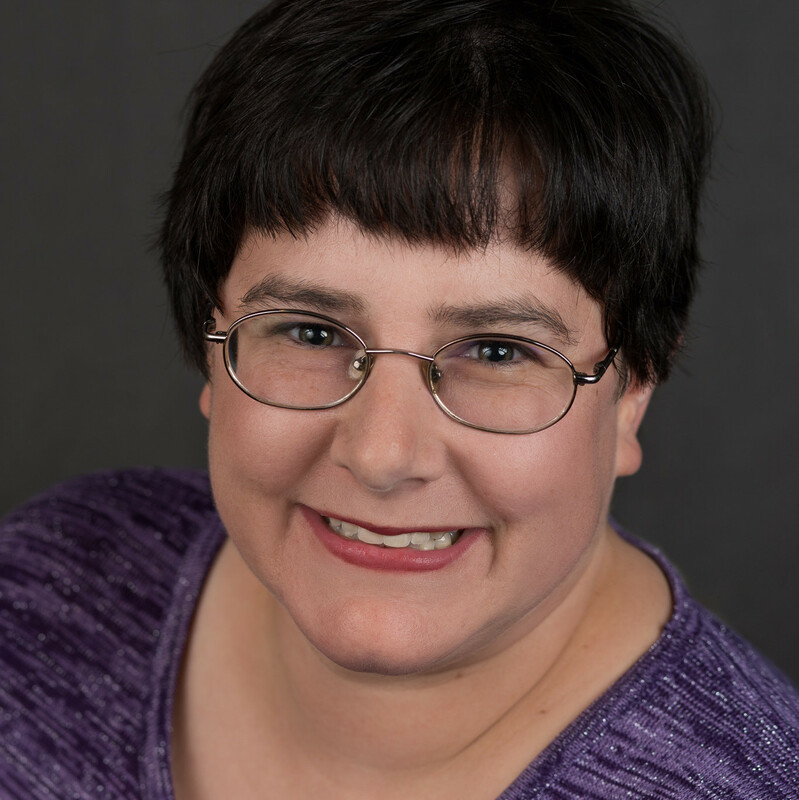 In May, I finished the first draft of my WIP, Brotherly Love, after taking a FastDraft workshop with Candace Havens. And “first draft” is definitely the appropriate term for it: There’s extraneous scenes, missing scenes, some less-than-stellar writing, and at least three attempts at an ending. In short, it needs a lot of work. But since then, I feel like I’ve been spinning my wheels. I haven’t done much revising yet, mostly just brainstorming. This path or that path? Why does this character have zero flaws? Should that character be a doctor or a minister? Ahhhh, the questions are never-ending. I’m super excited about doing NaNo this year. I’m super excited about the idea of doing NaNo this year. I’m not really sure what I’ll write for NaNo. But I’ve got all of October to figure that out, right? Yup, I was just insane enough to sign up for another FastDraft workshop right before NaNo. It starts tomorrow and last week was supposed to be dedicated to preparing for that. I struggled all week to figure what what I’ll write over the next two weeks. I struggled to develop new characters and relationships and conflicts. Why has this been so hard? Usually developing characters is what I’m good at and they come fairly easily to me. But not this time. A big part of the problem is that I can’t get the two main characters of Brotherly Love out of my head. I’m always thinking about how I can tweak the plot to raise the stakes, put them into conflict, and tell the story I want to tell. We’ve all felt this way at one point, right? They’re my friends. I love them. To start another project feels like abandoning them. Does that sound crazy? Other writers can probably understand these feelings, but writers are pretty weird to begin with, huh? 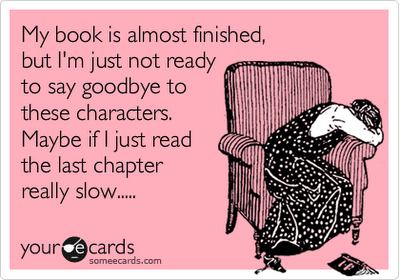 Judging by the number of memes about fictional characters and the way we hold on to them makes me think that readers get it, too. I have to keep telling myself that I’m not abandoning my boys. I’m not giving up on them. But I do worry that by the end of November, I’ll be so focused on the new manuscripts that Brotherly Love will fall to the wayside. I even worry I’ll forget about my boys. Then I remember a story I started writing back in 2009 but never finished. I still think about that story. Not every day anymore, but often enough. I even still dream about those characters sometimes. The only reason I haven’t gone back to work on that story is that it’s fan fiction and my focus right now is on writing stories that I can publish. So no, I won’t forget about my Brotherly Love boys in just a couple months. And yet I worry so much about it, I’m having trouble moving on even though I know I need to take a break. I just have to keep telling myself that it’s okay. Everything will be alright. Acceptance ……………………. Diversity ………………….. Segregation. My husband and I had a conversation about diversity and racism the other day. Our son (8 years old) is one of just a few white kids in his circle of friends, but he doesn’t even notice. He doesn’t care whether his friends are black, white, indian, or anything else. They’re just … *gasp*… people. I love that our school and community has helped to teach him this, but it’s also lulled me into believing this is true everywhere. I mean, it’s 2012, aren’t we past racism and segregation by now? I really thought the photo of a teenage boy looking out onto his neighborhood would attract the attention of the audience I had in mind when I was writing the book — teenagers, especially boys, who don’t usually find a book that speaks to them. And I’ve since heard from lots of teens who tell me that it was the cover that initially drew them to the book. The thing I never imagined was that the cover (and the covers of my subsequent books) might create an automatic ghettoization of my work. Tyrell is a young, African American teen who can’t get a break. He’s living (for now) with his spaced-out mother and little brother in a homeless shelter. His father’s in jail. His girlfriend supports him, but he doesn’t feel good enough for her – and seems to be always on the verge of doing the wrong thing around her. There’s another girl at the homeless shelter who is also after him, although the desires there are complicated. Tyrell feels he needs to score some money to make things better. Will he end up following in his father’s footsteps? Do the words “African American” really need to automatically put this book in a genre other than Young Adult? It sounds like this book is about a teenager who is dealing with some family, personal, and romantic struggles while coming to age. Isn’t that what the Young Adult genre is all about? Usually when I’m thinking about issues like diversity, acceptance, and equality it’s in the context of sexuality because that’s a common component of most of the stories I want to tell. I hadn’t considered before now that my books, when published, could be shelved under LGBT or Gay/Lesbian fiction. I really, really hope that doesn’t become the case. The stories I want to tell aren’t because my characters are gay or deal with issues that only someone who is gay would be interested in. They’re stories about teenagers on their paths to becoming adults who just happen to be gay. Just like a character just happens to have brown hair. Or is tall. Or short. My character being gay is part of the story, but it’s not the story. But most importantly, by separating books into these specialized genres, we’re sending the message that they wouldn’t appeal to the “average” young adult reader. That only “certain readers” would be interested. Well, of course only “certain readers” would be interested — no one person likes all books — but whether the reader is gay or black is not that deciding factor. I’m proud of my son for knowing that people are people, regardless of race. As he grows older and sexuality becomes something he’s more aware of, I have confidence it will matter just as much to him, which is to say: not at all because people are people.